Preorder The Division 2 and get FREE game! For a limited time you can get Far Cry Primal, Watch_Dogs 2 or Ghost Recon Wildlands. See inside for details. This promotion is valid for PC Digital only. 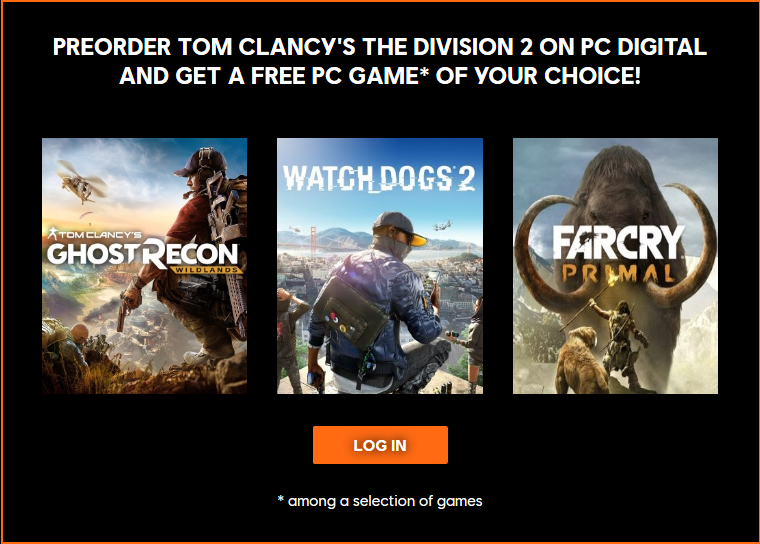 Visit The Division 2 PC Pre-Order offer page to select your free game. Selected games will be distributed on The Division 2 launch date (03.15.2019).